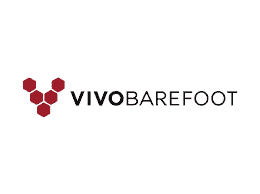 Vivobarefoot is a London-based start-up dedicated to fundamentally changing the footwear industry. The ambitious goal of the founding Clarks family is to create the most sustainable shoe in the world, and to manage up to 90 percent of its business sustainably by 2020. Vivobarefoot specialises in barefoot footwear and uses only sustainable, recyclable and locally-sourced materials. With its Primus Bio collection, Vivobarefoot will expand its own range next year to include new types of vegan shoe. The entire sole and 70 percent of the upper material of Primus Bio are made of a plant-based polymer, the Susterra Propanediol. Susterra Propanediol is characterized by being oil-free, non-toxic and 100 percent USDA certified. In addition, Susterra propanediol consumes much less energy than conventionally used petroleum-based materials, and has 56 percent lower greenhouse gas emissions. According to the company, the vegan shoe is the least oil-dependent performance shoe in the world. The Primus Bio will be available from 2019. According to Vivobarefoot, the barefoot shoe will impress not only with its sustainability, but also with the flexibility and resistance it offers. The start-up has already recycled over 2 million plastic bottles from landfill sites through its development work.